The alcoholic beverages distributor SPI Distribution (Latvia) has become the official distributor and partner in Latvia for the largest winemaker in South Africa – KWV®. The company will represent six KWV® wine categories on the local market – the so-called everyday wines (Pearly Bay®) and classics (KWV® Classic) as well as select collections (KWV Cathedral Cellar®, Roodeberg®, Laborie®) for the restaurant, bar and specialized wine store segment. With this partnership, the wines from the South African winemaker KWV® will be represented in the Baltic countries by all the alcoholic beverage distributors of the Amber Beverage Group – SPI Distribution (Latvia), SPI Distribution (Estonia) and Bennet Distributors (Lithuania). says Valts Ermansons, Managing director at SPI Distribution (Latvia). The company executive stresses that the wine market in Latvia has stabilized and one can speak of the formation of a loyal wine customer group. “Regardless of high competition and broad offerings on the local market, South African wines are one of the fastest growing wine categories because Latvian consumes appreciate the taste of these wines and the relationship of price and quality,” says V. Ermansons. KWV® wines are one of the fastest growing imported wine categories in Latvia, according to data from IWSR (International Wines and Spirits Research). 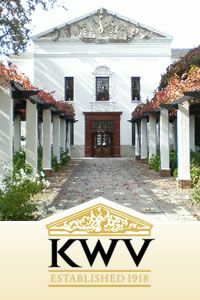 The KWV® winery has its roots in 1918. Today it is a world-renowned winemaker and exporter, and the leading South African winery with more than 100 different wines in its portfolio that are distributed in more than 100 markets around the world. The KWV® winery unites 69 wine growers from 13 regions in South Africa and 420 vineyards. The KWV® winery produces 12 000 tons of wines annually and its proud of its tradition-rich history and environmentally-friendly production practices.